When it comes to long-term auto storage, there are a number of advantages to opting for self storage over leaving your car in a driveway. Your vehicle is one of the most expensive things you own, so spending a little money (emphasis on the word little—self storage is surprisingly affordable!) to keep it somewhere safe is a worthwhile investment. Renting self storage for your car offers you the choice of a fully enclosed, climate-controlled unit or an outdoor space. Even if you go for the outdoor option, the level of safety thanks to 24-hour surveillance, timed access gates and these other security features is way, way better than you’d find if you decided to store your car in your buddy’s driveway. Self storage gives you protection from the elements and from theft. Ever heard of EZ Drive-Thru storage? At All Storage, it’s kind of a big deal. This type of storage, which is available at most All Storage facilities, allows you to drive into the storage facility—and in the case of auto storage, right into the storage unit. This is a great option for you if you want indoor storage with climate control. 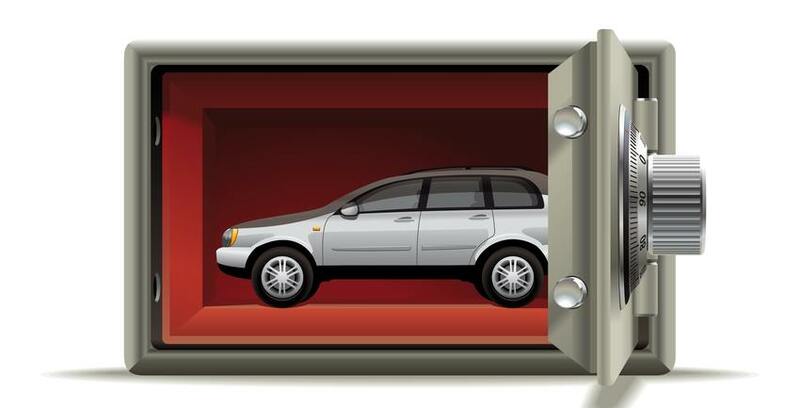 If you’re planning on storing your car for a long time, you should definitely go for this. Does your vehicle only require a shorter stay? Outdoor parking is available at some facilities, and is great for customers on a budget. This is a big no-no at all storage facilities, not just All Storage. As much as a storage unit might seem like the perfect garage for fixing up your car, you’re going to have to take care of auto maintenance elsewhere. No self storage facility wants to unwittingly host a chop shop. When storing your vehicle in a storage unit, it’s never a bad idea to place cardboard on the floor of the unit before you park your ride. In the unlikely event that there’s fluid leakage, the cardboard will prevent a mess and will save you money on cleaning fees when you move out. This is especially important for outdoor vehicle storage. The junkyard look just doesn’t work at a storage facility, so self storage operators want to make sure that your car is registered and running. Be prepared to show proof of registration, ownership and make sure that all of your tags are up to date. As with all types of self storage, don’t hesitate to ask the All Storage staff if you have any questions. We’re happy to help you choose the right type and size of storage unit, and we can show you how to set up auto-pay so that your self storage bill stays paid and your vehicle stays safe and sound until you’re ready to start up the engine and take it back out on the open road again.